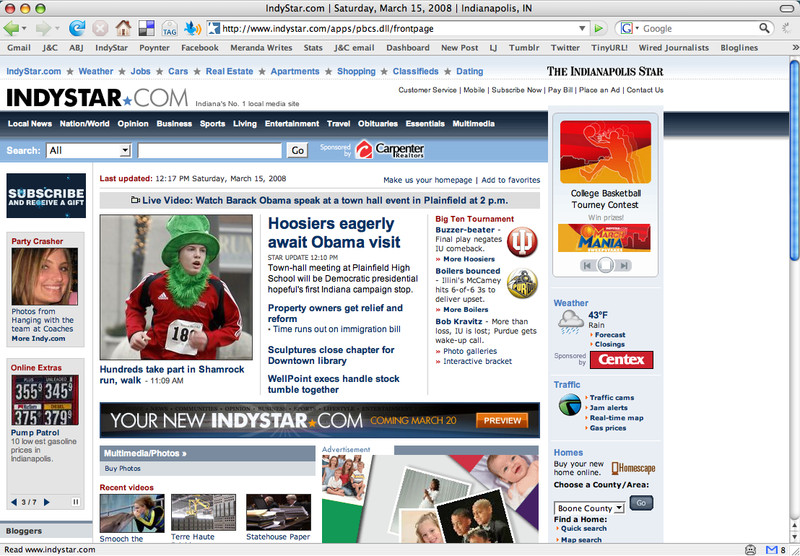 This entry was posted on Saturday, March 15th, 2008 at 5:57 pm	and is filed under Commentary, Journalism, Technology, Web design. You can follow any responses to this entry through the RSS 2.0 feed. Responses are currently closed, but you can trackback from your own site. 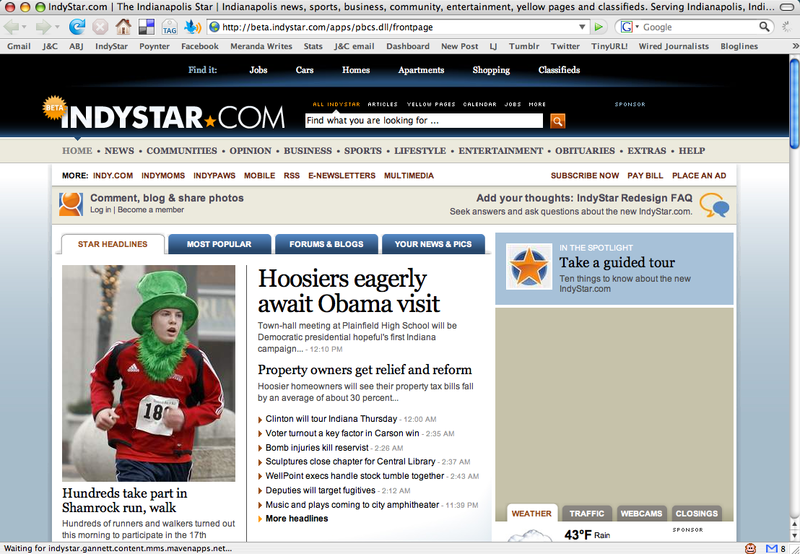 The reason IndyStar’s is so good is because they are one of the very few sites that corporate let do their own take on the design. They worked hand-in-hand with corporate todevelop what will be known as the GO4 1.1 template set for metros. Detroit also got that permission and cooperation. We would have loved to have been able to customize our site here in Cincinnati, but alas, we have very limited access to our own templates (which is quite a change from the past). We’ll be trying to find ways to do our own customization, but we’ll end up looking a lot more like the little guys. I figured they got some type of special permission. Because the Web guys I talked to here when we were first starting toward our design said everyone was going to look practically identical. 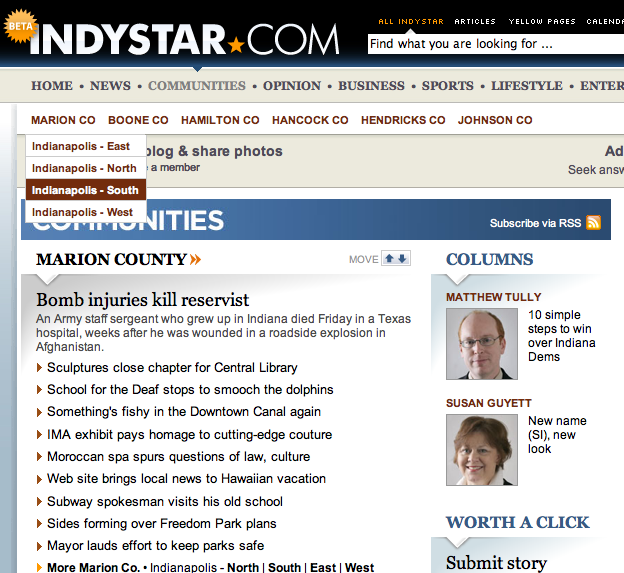 But it’s interesting to see how varied Indy and Freep are based on the same basic design. I think Indy took it a lot farther with great results. I don’t think I actually stated this in the entry, but it’s worth pointing out, I think the GO4 design is pretty good. It does a lot of things and will enable more participation at a deeper and more intrinsic level than most media Web sites today. This is a good thing. 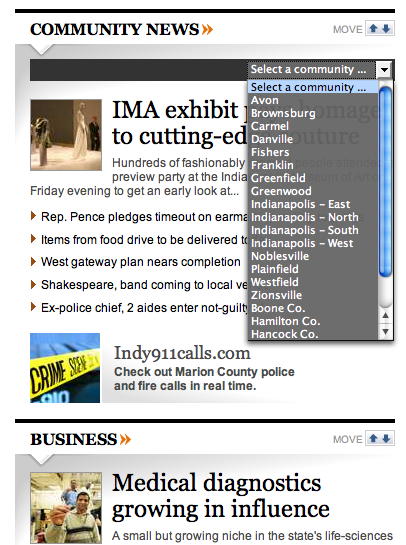 I just harp about IndyStar a lot. (Search for that name in my search bar and you’ll see.) So I thought while I was going to talk about the design we’re headed toward, I should give some kudos where it’s due as well.